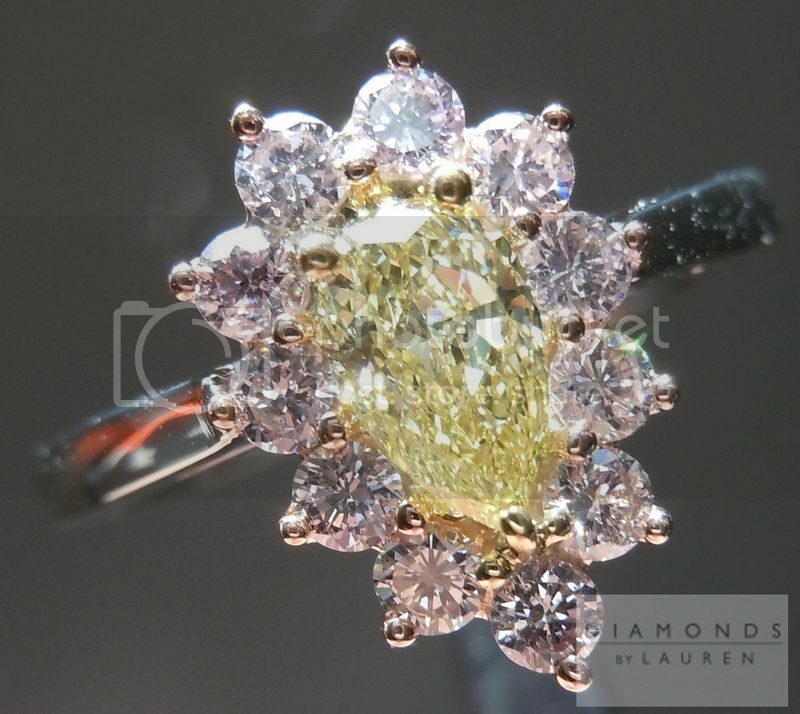 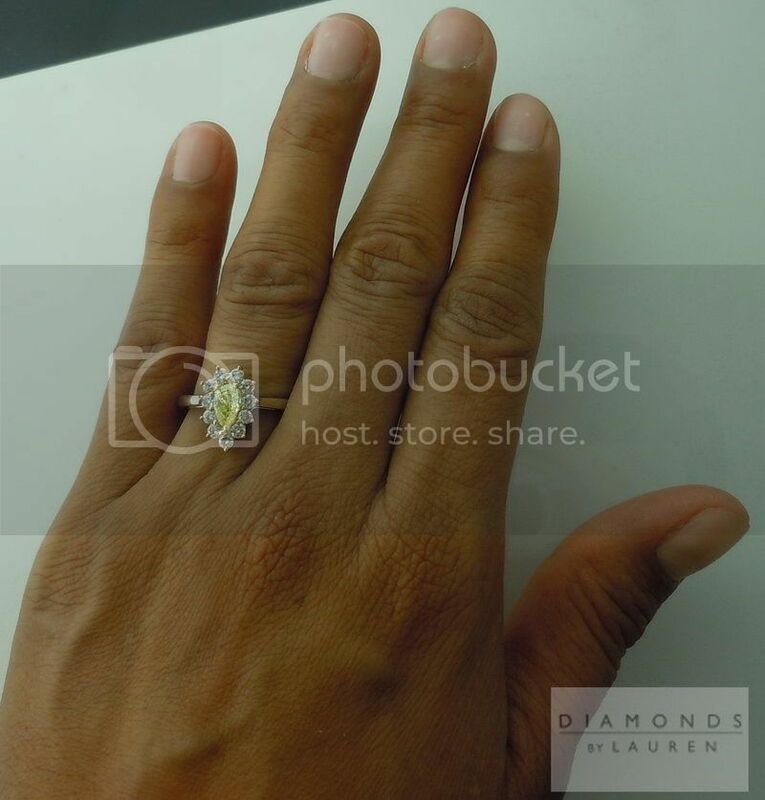 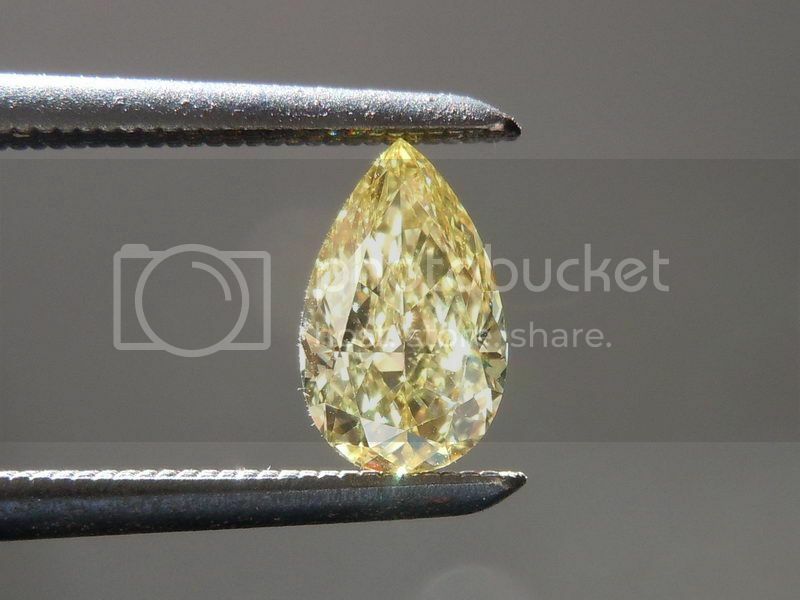 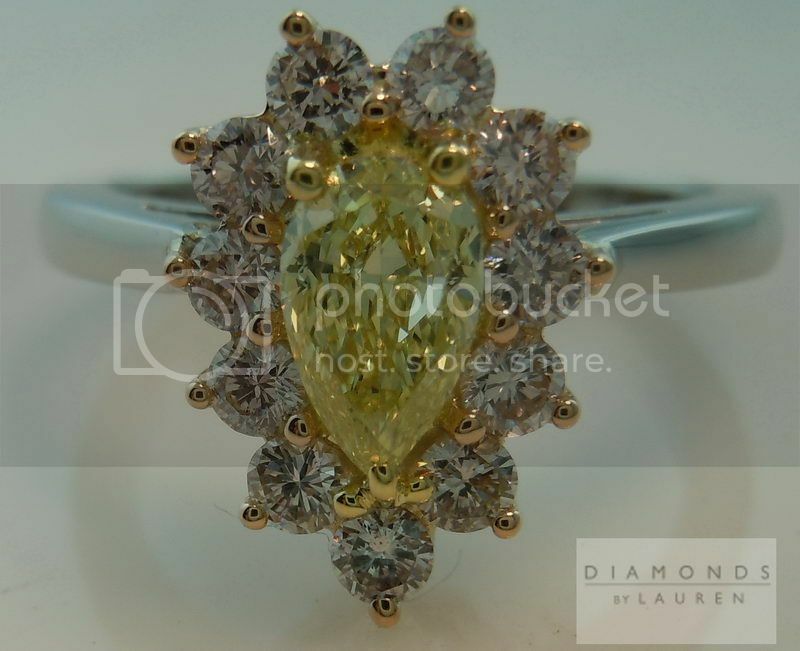 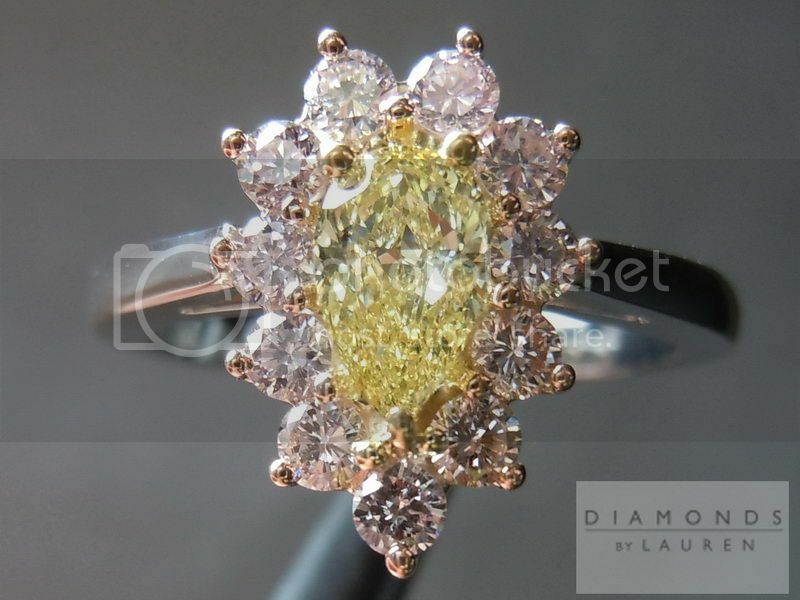 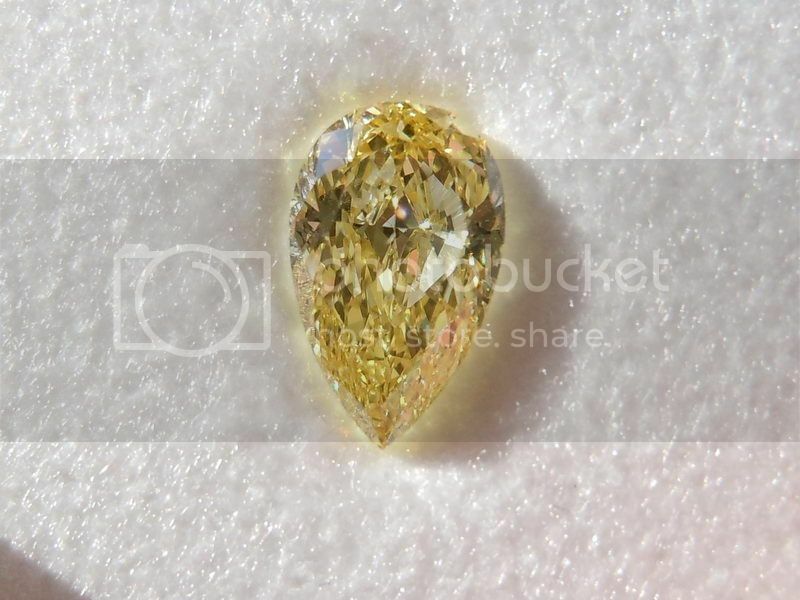 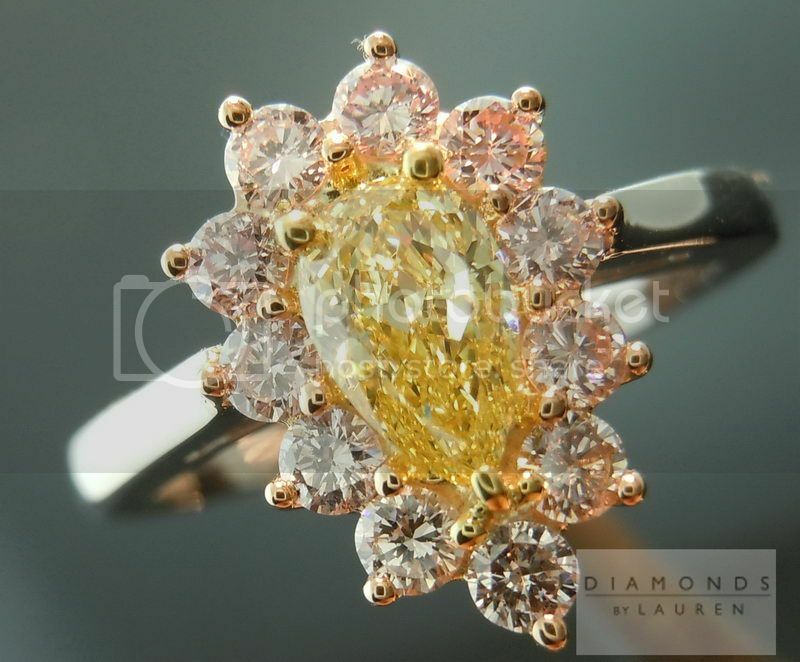 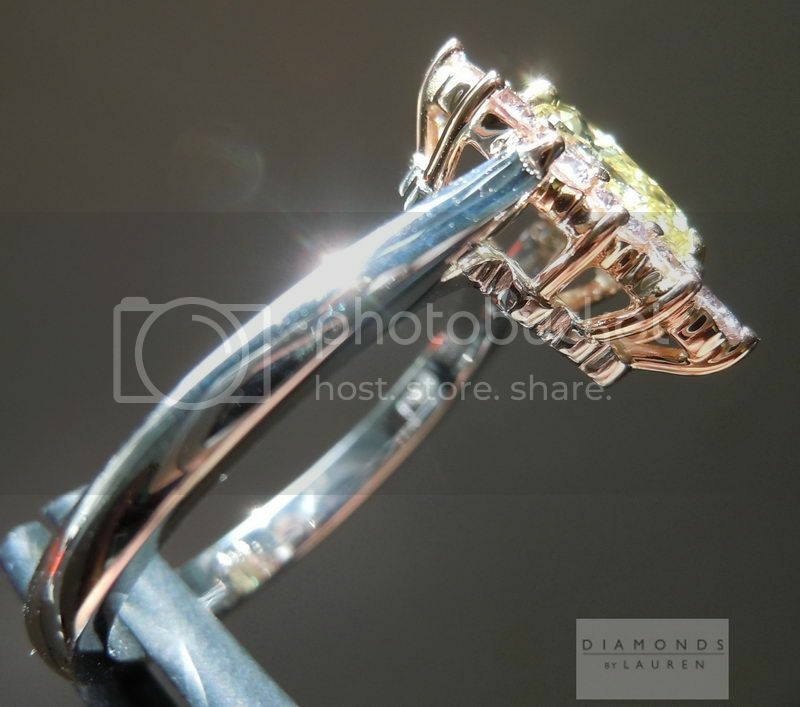 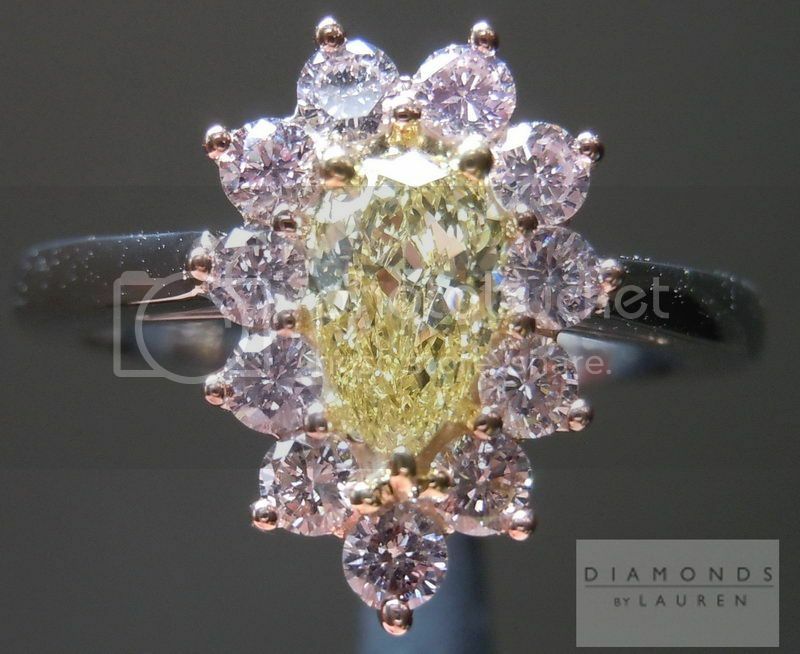 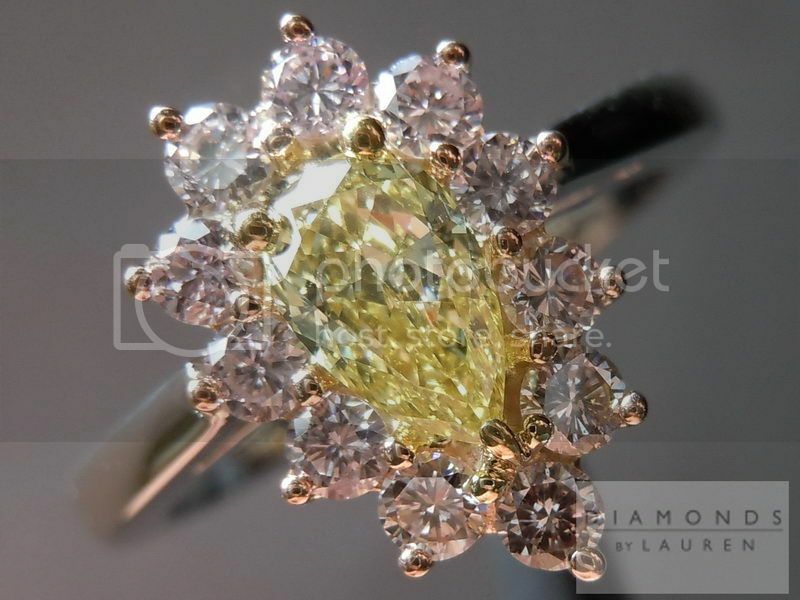 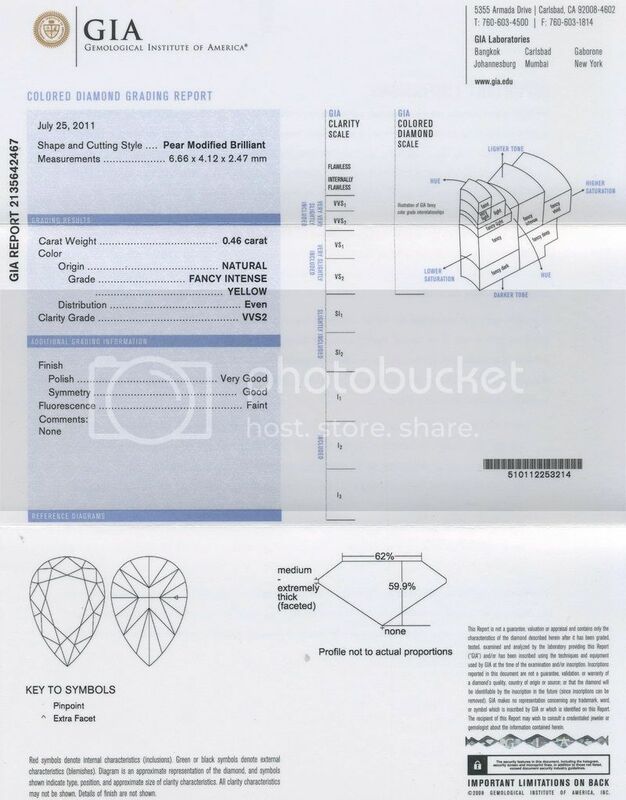 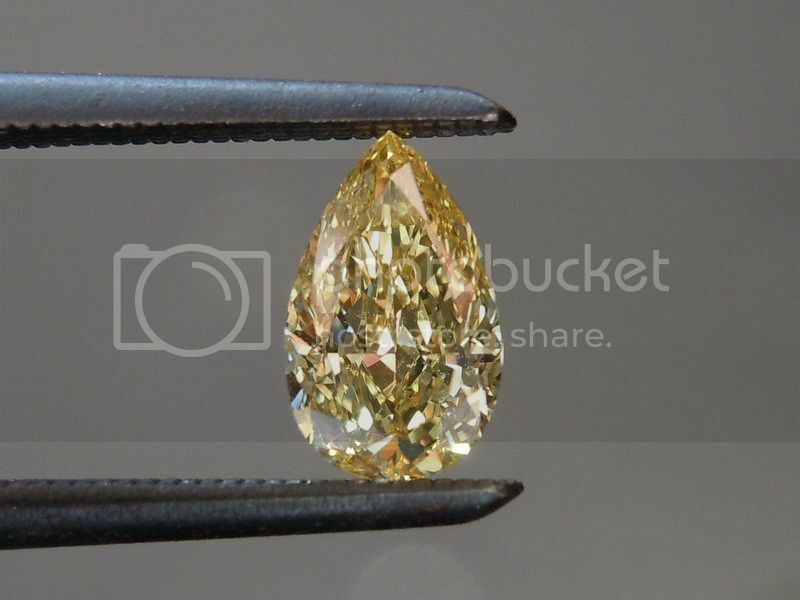 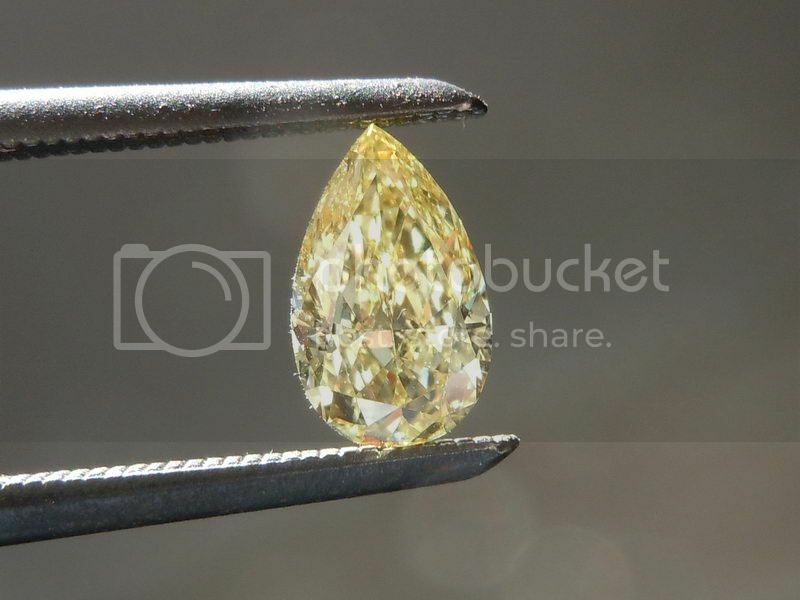 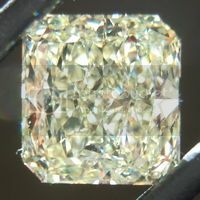 Here is a stunning pear shape diamond. 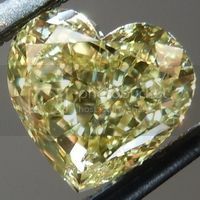 The stone has a lovely traditional pear shape to it - very organic in feel. 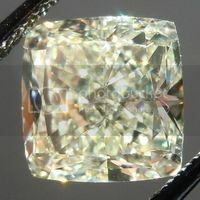 The cut is amazing on this stone. 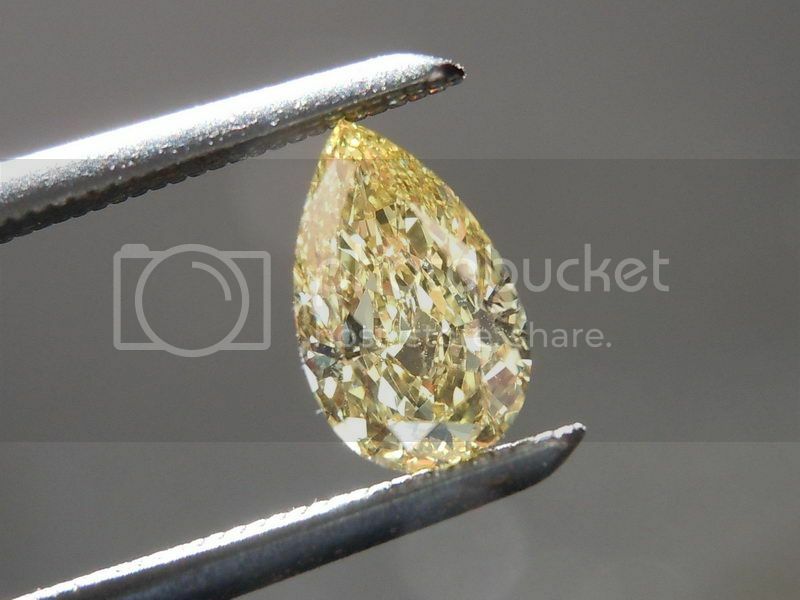 There is no noticeable bow tie on this stone and it is absolutely full of life and sparkle. 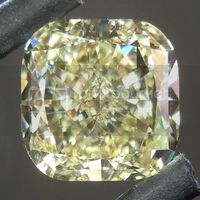 The color on this stone is - as graded - intense. 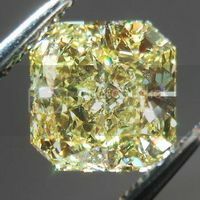 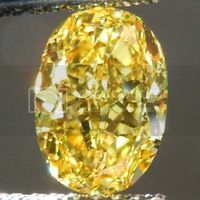 In fact this stone is closer to Fancy Vivid Yellow in color. 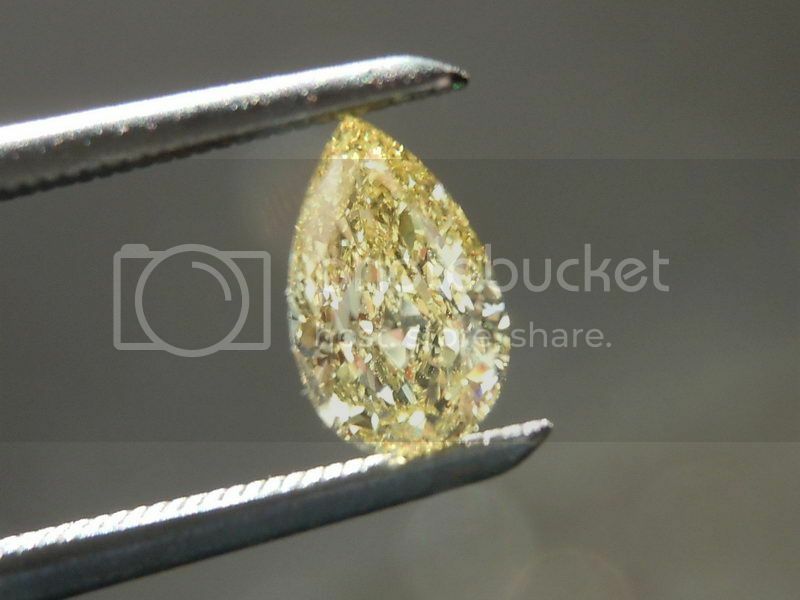 The clarity on this stone is a nearly perfect VVS2. 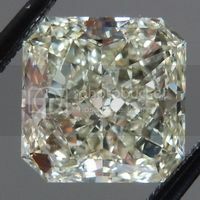 This is truly a phenomenal stone! 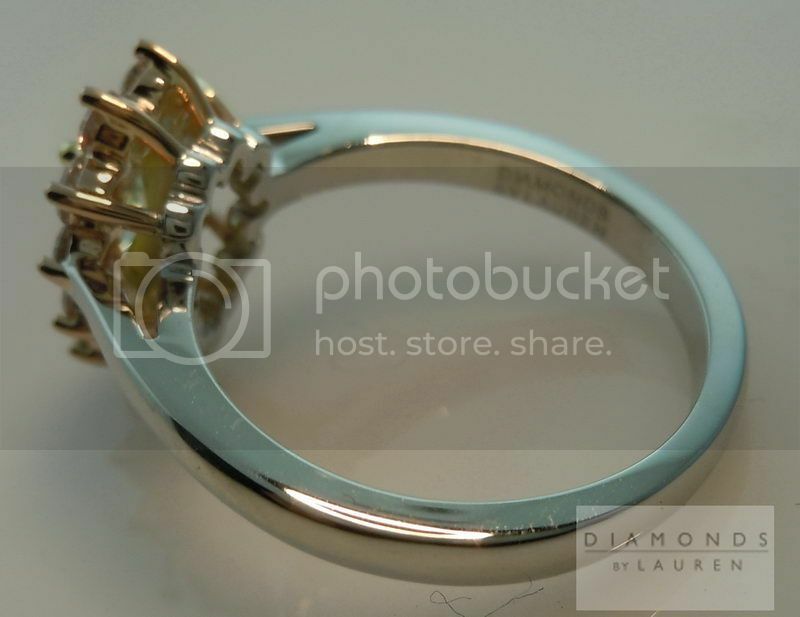 Fine Jewelry in Platinum and Gold. 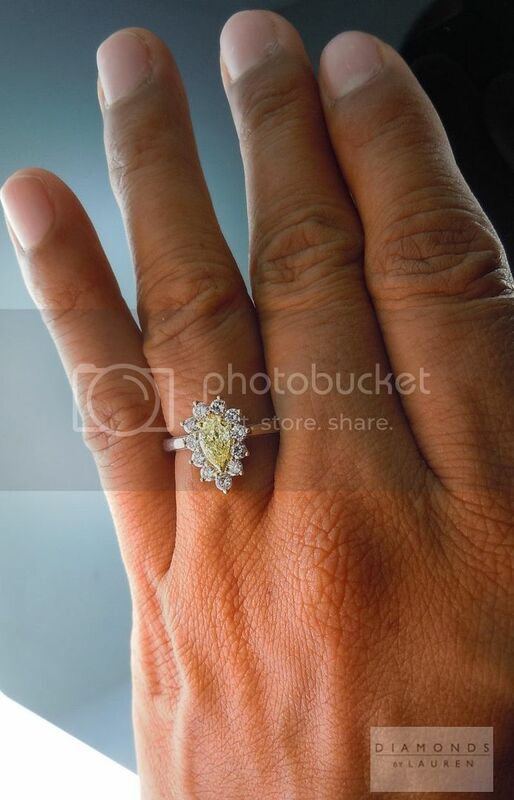 Hand made to an impeccable finish - engineered by women, for women. 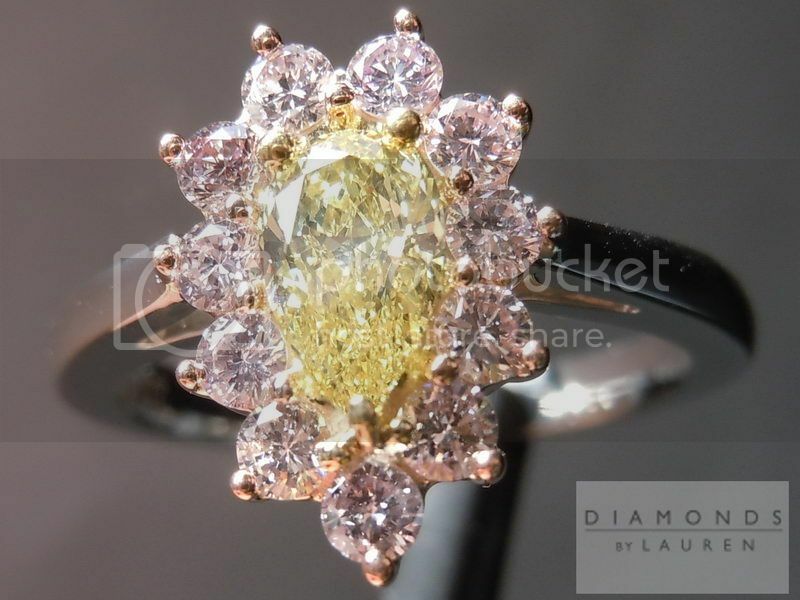 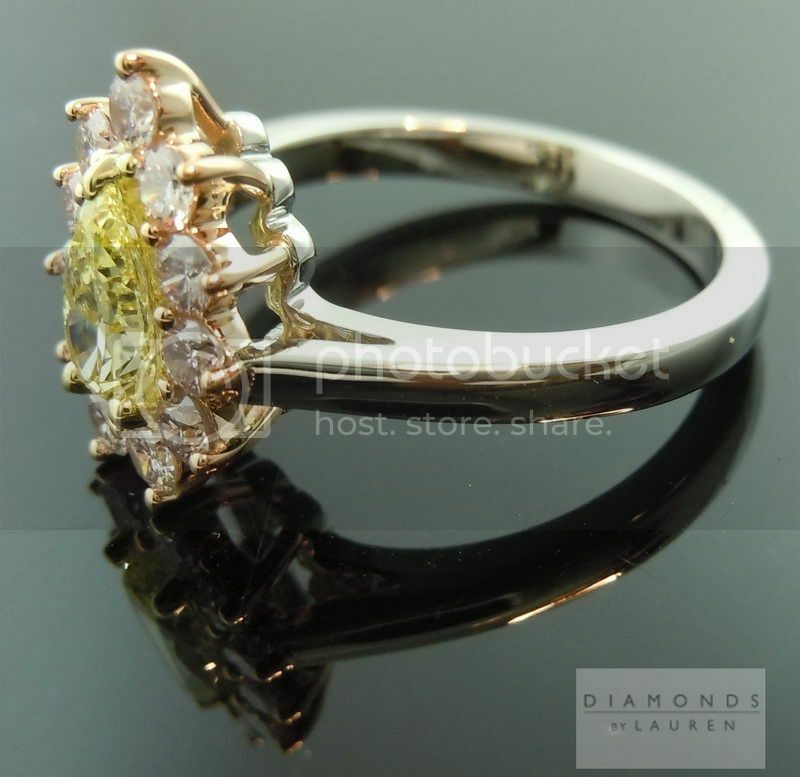 This ring shows just how lovely pink and yellow can be. 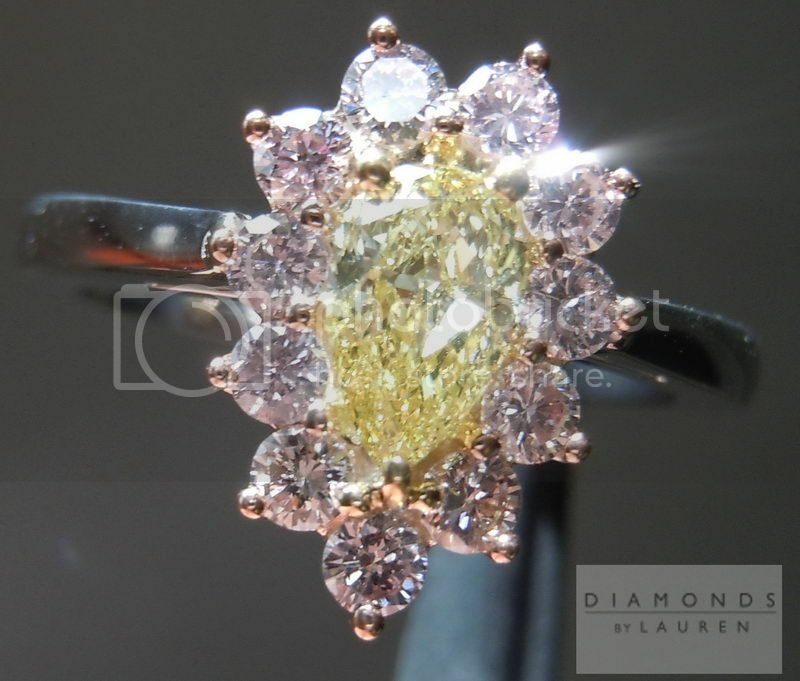 The pink diamonds are large enough to have their own personality. 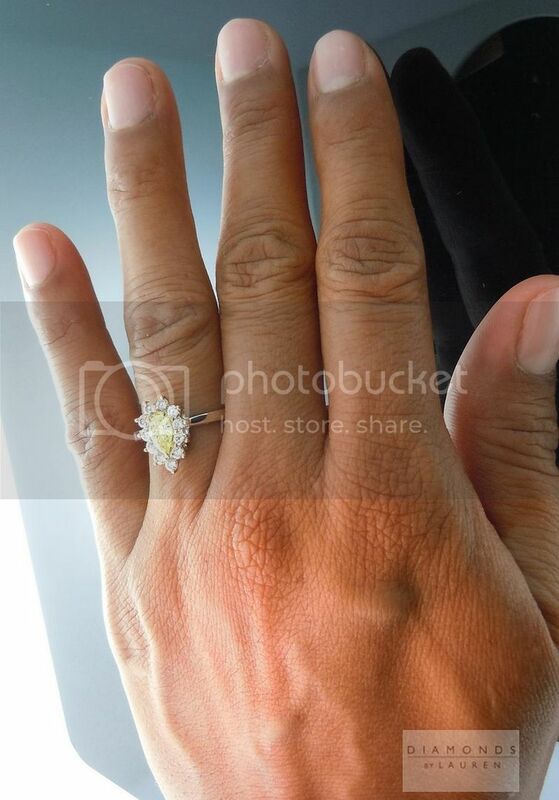 The ring is from "Sandra's Collection." 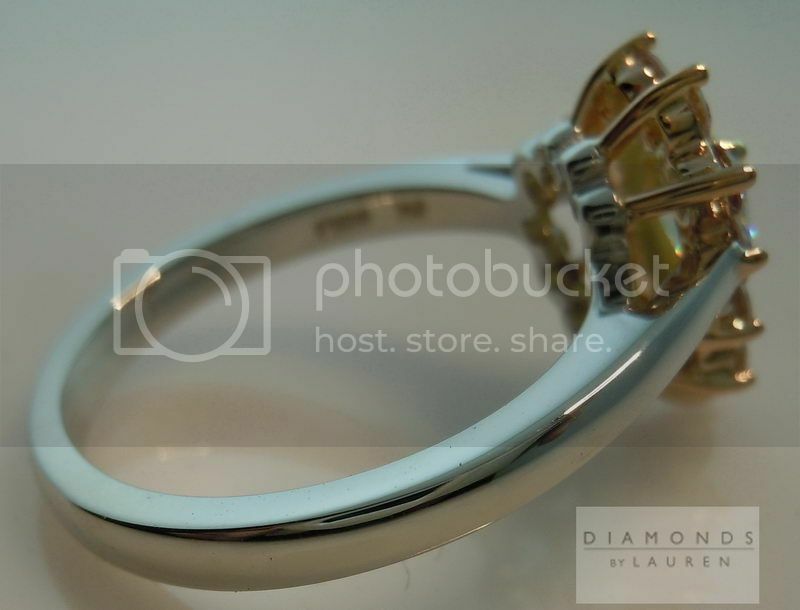 Generally speaking this line is a bit heavier than our "Uber" rings - and also incredibly high end in terms of finish. 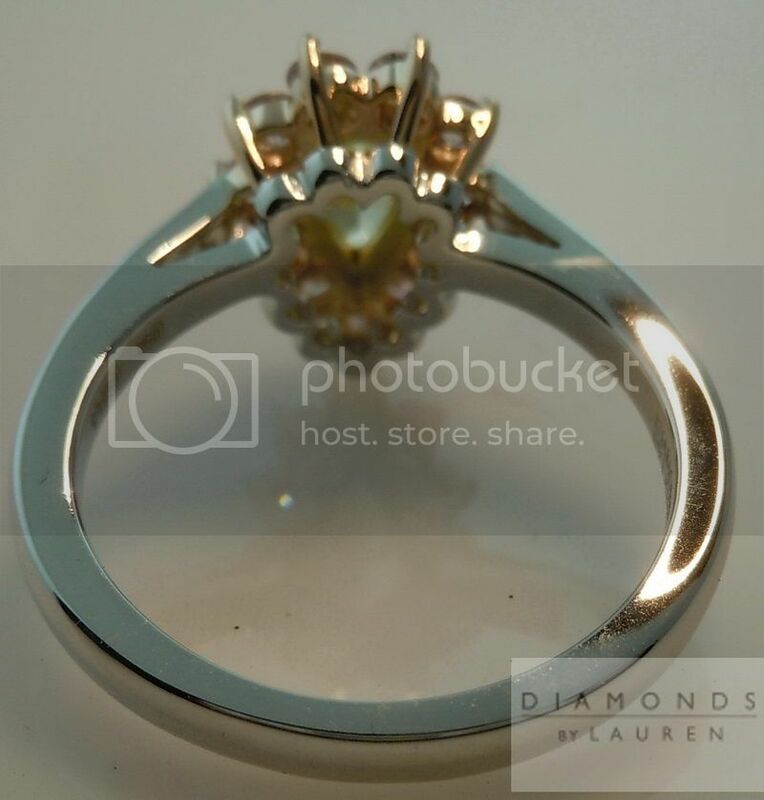 Prong work is typically balls, as opposed to claws - and many women prefer the smoother feel. 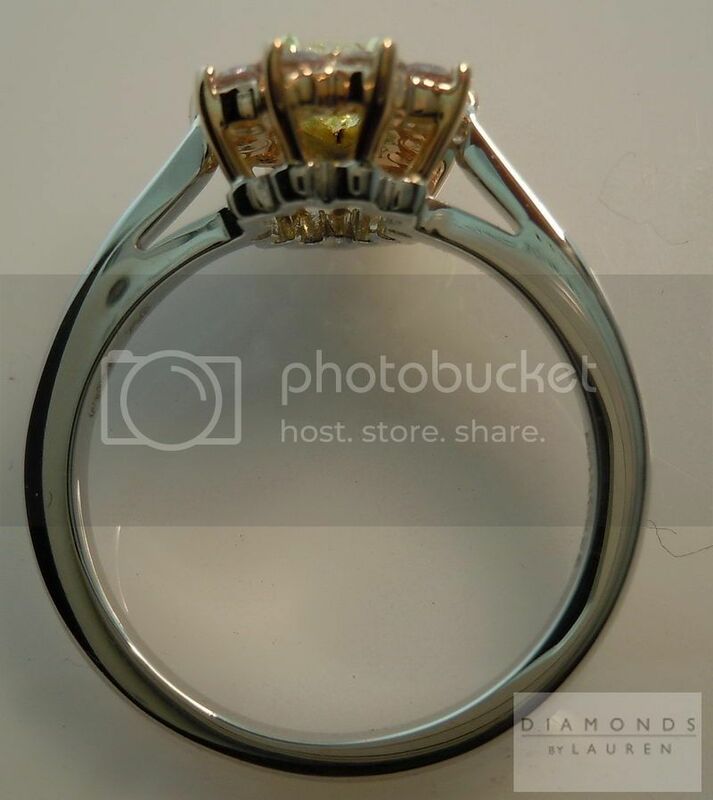 Indeed, this ring is a delight to run your fingers over.